Buffington Homes is the Lowcountry's premier construction company, known for delivering peace of mind and quality structures. Our mission is to build clients' homes as if they were our own. We emphasize the need to consistently exceed our customer's expectations. This is our mission and our commitment to you. For over 22 years, the firm has been award winning based on the praise of clients and a roster of National and Regional accolades. From their Johns Island office on Betsy Kerrison Parkway (across from Ace Hardware), they focus on Kiawah Island. Stein Renovation and Design Group, LLC is an award winning home Design-Build Company specializing in Remodeling and Renovations. Established in Charleston, SC, we are your one-stop-shop. Tori Stein is a Charleston native who has been in the construction industry for more than 30 years. Tori was awarded top remodeler in the state of South Carolina for projects in the zero to $149,999 range and tied for number 1 in the $149,999 to $250,000 project range for 2016 by the South Carolina Home Builders Association. Tori was also voted Charleston's remodeler of the year three times and has won a total of ten awards in the last two years. Tori's expertise is in renovating homes to reflect their owners' personalities. 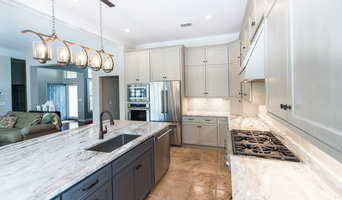 Seamar Construction Group builds beautiful custom homes on Kiawah & Seabrook islands and also has experience in commercial building and historic home renovations in downtown Charleston, SC. As one Seamar Construction customer put it, " The folks at Seamar worked very hard to exceed our expectations throughout the design and building process and their superb craftsmanship, constant communication and attention to detail made the entire building process stress free. We highly recommend the Seamar Construction Group when searching for a company that truly partners with you and cares about the outcome as if they were building the home for themselves." Established in 2000, Ravenel Construction Group is a full service custom home construction and design firm located in Mt. Pleasant, South Carolina. Built on integrity, teamwork and knowledge of the building process and industry, Ravenel Construction Group has been the leader in custom home building in the Greater Charleston Area for over a decade. Renowned for their exceptional quality, friendly and personal service and a great value per square foot, the company has built homes in Mt. Pleasant’s premier neighborhoods including I’on, Olde Park, Cathedral Oaks, Rivertown as well as on Kiawah Island, Daniel Island, Isle of Palms and John’s Island. Ravenel Construction Group will assist you with all your construction project needs, starting with selecting the right floor plan, working with an architect, securing your surveys and permits and selecting the right design finishes, making your custom house a truly spectacular dream home. High Tide Construction Services, LLC. As a full service firm, we offer a one-stop shop for clients looking to simplify any residential construction project through a design-build process. Our designer is also a fully licensed residential builder with 20 years of experience in construction and is a professional member of the American Institute of Building Design (AIBD), and a licensed member of the National Kitchen and Bath Association (NKBA). WaterMark Coastal Homes is a residential design/build company located in Beaufort, South Carolina. We are focused on crafting homes that combine the necessary elements of family living with the simple, elegant features of a time focused on the home. Every project we undertake is inspired by timeless, traditional styles and defined by your vision of home. With more than 30 years of experience building hundreds of homes, our commitment is to the highest quality. We are proud to be recognized for unparalleled service, value and integrity. Our homes combine the luxury you deserve with the functionality you need. Our mission is to exceed the expectations of our clients on every project. Our passion is creating custom homes that set the standard for modern luxury living. Let us help you make your home in the Lowcountry. Our homes are built with a timeless aesthetic yet designed to accommodate the most advanced and progressive modern amenities. Please contact us for a presentation, project estimate, or to tour a LPCH residence in person. My philosophy on building great structures is of sustainability, but not in the sense you would traditionally think. A green product is only as good as the design and longevity of the building as a whole. A true sustainable building is one where the design is timeless, and the craftsmanship gracefully withstands the elements. Easily maintained systems prevent the need for wholesale removal and allow for small parts to be repaired. Currently, I am the project manager for all historic, and some new construction projects at Brown-Glaws Contractors in Charleston, SC. Some of my projects displayed here are from Brown-Glaws and some are of my own. Dolphin Architects and Builders has an established reputation of over 20 years as a Custom home builder in the Charleston, Sc area. We have built and remodeled some of the finest homes on Kiawah Island, Seabrook Island, Mt. Pleasant, Isle of Palms & Wild Dunes. The Dolphin Design Build Team works hand in hand to turn your dream home into a reality. We firmly believe that whoever said "Don't sweat the small stuff" never built or remodeled a home, we know EVERY detail is important to you, and we will guide you and inform you with honesty and integrity every step of the way. Steve Brenner, President of Solaris, Inc. is the leading builder of custom luxury homes on Kiawah Island. Since 1982, Solaris homes have been the standard by which all other custom luxury homes and estates are judged. 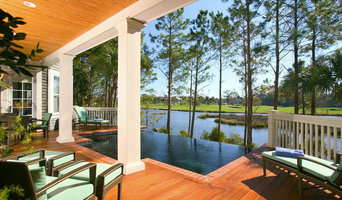 Their reputation and level of customer satisfaction is unsurpassed on Kiawah Island and the surrounding Charleston area. Since its inception, Solaris, Inc. has always been on the cutting edge of construction techniques, historical and foreign reproductions, technological innovations and client/architect relationships. Their reputation amongst the finest homebuilders in the Southeastern United States is based on maintaining the highest level of standards in the industry. They let their clients and their homes tell the story. Solaris encourages all potential clients to interview, investigate and compare other building firms. Call their clients and gather as much information as you can. Through this prudent exercise, they are confident you will see that they stand above the rest. With over 26 years in one location and over 125 extremely satisfied clients and counting, Solaris is proud to say that they are the most qualified and experienced custom home builder on Kiawah Island. Kelly Builders Carolina is a premier custom home builder in the Charleston, SC market. We serve Isle of Palms, Sullivan's Island, Mt Pleasant and Charleston We love all types of construction. We bring a very unique mix of artistry and engineering to all of our projects. We want to help you realize your dreams and achieve your goals for your new home or remodel. From historic downtown Charleston to Mt. Pleasant, Sullivan''s Island to Isle of Palms and inside Wild Dunes...we know how to get things done for you. Kelly Builders Carolina builds dream homes meant to last; spaces designed for the comfort of now and planned for generations to come. We provide individualized service to clients, fostering open dialogue while guiding our clients through the process of building their ideal home or constructing their addition or renovation. We endeavor to exceed expectations and provide the highest caliber products available, operating with complete integrity every step of the way. Please call us today to discuss your project at 843-296-1456. 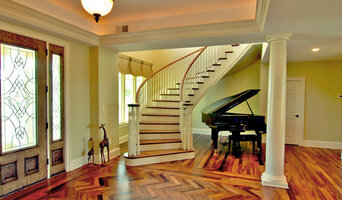 Vintage designs was incorporated in 2006, in the state of South Carolina. We design and build some of the finest homes in the low country. we also plan, Design, and implement residential developments. interior design is a specialty of ours and a service that we offer. Design-build firms take on the responsibilities of architects, contractors and construction companies, all under one roof. These full-service firms focus on a streamlined design-build process — from the initial design to the estimating phase to physical construction — in the hope of creating an efficient experience for both the client and the company. Because the entire project is happening within one company, Lincolnville design-build firms are able to overlap the design and construction phases of the project, which often speeds up the project significantly. In addition, these firms work to minimize risks for the project owner through single-point responsibility contracts. However, depending on the firm, you may still want to contact an interior designer or architect to help create the exact look you want. Here are some related professionals and vendors to complement the work of design-build firms: Interior Designers & Decorators, Landscape Architects & Landscape Designers, Architects & Building Designers, Photographers. Before deciding on a residential design-and-build company in Lincolnville, SC, think about what you want from your new home. Do you want a large kitchen for entertaining? Do you need several bedrooms for children and guests? Do you want a finished basement for extra space or storage? Look for Lincolnville design-builders that specialize in the areas you're looking for. Budget is obviously a determining factor in the outcome of your project. To make sure you stay within your means, consider making a must-have list and a wish list. Gauge where the estimates are falling to determine which design-build contract can realistically strike the balance between the two. Find a Lincolnville design-build company on Houzz. Narrow your search in the Professionals section of the website to design-build firms in Lincolnville, SC. You may also look through Lincolnville, SC photos to find a pool you like, then contact the design-build firm that created it.